This is the third season for this competition. A year ago we went out against Hull at the first time of asking but in the inaugural 2013/14 season we reached the semi-final before going out in to Man City, losing 3-2 at Leigh Sports Village with Cameron Dummigan and Jason Gilchrist getting our goals. We had some tight games to get through too. As is the case this year, we played Wigan at home first, winning 7-6 on penalties after a 0-0 draw. That took us to Crewe where we came from behind to win 2-1. Ryan Noble and Alex Coleman got those goals with Coleman scoring in stoppage time at the end of the game. It was another very late goal in the next round against Sunderland at home. Kevin Ball's team went in front before Luke Gallagher and then Luke Conlan won it for us but then we had a comfortable 3-0 win against Bolton with goals from Cameron Howieson, Gilchrist and Jamie Frost. That took us to Exeter in the quarter-finals against a side who fielded a very strong team. It took extra time but we won it 3-2. Archie Love scored a brace with the winner coming from Nathan Lowe. It was a competition where interest built as the run progressed and hopefully we'll be able to get that again. Coach Michael Jolley said today: "We want as many competitive games for our young players as we can get, so this is a welcome addition to the fixture schedule." We played in the Central League Cup last week but again we've opted not to enter a team in the Lancashire Senior Cup, a competition which could have given us potential tough games. 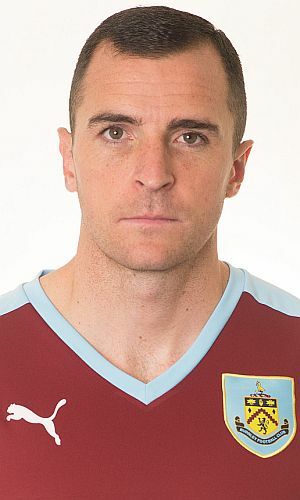 Jolley has also confirmed that Burnley will make use of the rule that permits three under-21 outfield players plus a goalkeeper to play and he's hinted that those outfield positions will be filled by returning players Kevin Long, Dean Marney and Fredrik Ulvestad. Ours is the last of the five First Qualifying Round games to be played. It's regional at this stage with Doncaster having beaten Preston 1-0 in the other game in the north while there have been wins for all of Bournemouth, Plymouth and Exeter in the south. Kick off tonight is 7 p.m. and it is good to see that the club have reverted to allowing season ticket holders into these games free of charge. For non-season ticket holders, there is a nominal charge of £3 for adults and £1 concessions. The Bob Lord stand will be open for this fixture.